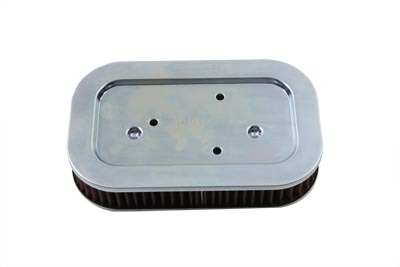 K&N replacement air filter is designed to fit into your stock existing air box. Air is filter is pre-oiled and ready to ride. The filter is designed to provide increased airflow, which will result in increased horsepower and torque. A pleated design and zinc coated plates to assure years of filtration without corrosion. This replacement air filter will fit your OE air filter assembly, requires no fuel management modifications and is a washable type. We recommend checking the air filter every 30,000 miles, but most street conditions the filter does not require cleaning until 50,000 miles of continuous use.